Home / Yard & Garden / Is This Deadly Poisonous Mushroom Lurking In Your Yard? Amanita phalloides, commonly known as the Death Cap mushroom, has killed more people than any other wild mushroom variety. It’s lived in the United States for quite some time, mostly confined to the west coast. 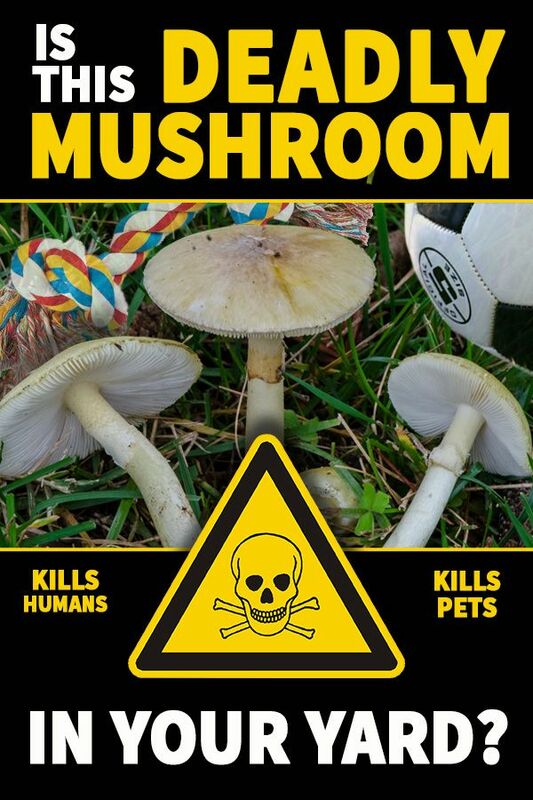 Over the last several years the deadly shroom has been showing up in yards across America. Most likely due to climate change and spore transportation between states. These toxic mushrooms resemble several edible species (most notably caesar’s mushroom and the straw mushroom) commonly consumed by humans, increasing the risk of accidental poisoning. Amatoxins, the class of toxins found in these mushrooms, are thermostable: they resist changes due to heat, so their toxic effects are not reduced by cooking. The Death Cap mushroom doesn’t look particularly evil. And people who have accidentally cooked and eaten the mushroom claim the taste was actually quite good. But the effects of eating one of these mushrooms is far from good. These things are wicked. They do nasty things to one’s internal organs. 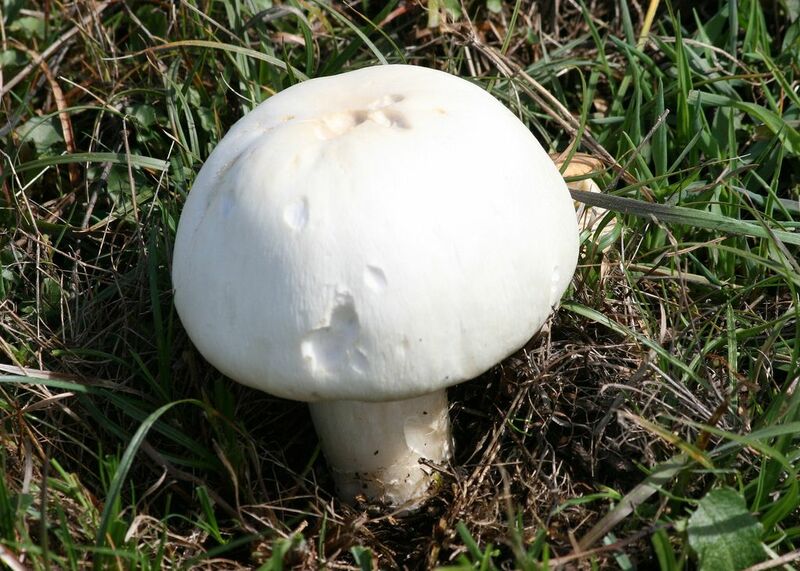 A mature death cap mushroom features a wide brim cap with prominent gills. The issue for most mushroom hunters is when the Death Cap first fruits it closely resembles the tasty and nutritious button mushrooms that people are familiar with. If you are in to mushroom picking it’s important to double check your harvest. Unlike many other mushroom varieties residing in forested areas, the Death Cap has a knack for showing up in people’s yards where kids and pets frequent. This makes it particularily poised for accidental consumption by a curious toddler or hungry pet. Even touching one of these nasty shrooms and putting your fingers in your mouth can lead to illness. As is the case with most dangerous threats, knowledge is your best defense! Below is some detailed information on the Death Cap mushroom to help you identify it. If you live out in the country and have kids or pets roaming your yard it might be a good idea to become familiar with the information listed below. A greenish color cap on mature Death Cap mushrooms is usually a telltale sign but it’s important to realize that the green hue is not always present on the cap. A white thin membrane called a veil is frequently visible hanging from young Death Cap mushrooms, but as the mushroom matures the veil can degrade and become barely visible. Look around under grass clippings and leaves for the thin white veil as a tell-tale sign of these mushrooms. Pieces of the veil can often be seen hanging under the cap stem areas as well. The Death Cap can be easily diagnosed as such. The cap is 2�–6″ (6–16 cm) wide, smooth, with greenish to yellowish pigments, usually sticky or slippery but sometimes dry, often adorned with one to several patches of thin white veil tissue. The gills are white, crowded together, and very finely attached to the upper stalk. In young specimens, a white, membranous partial veil tissue extends from the edge of the cap to the upper stalk, covering the gills (later remaining attached to and draping from the upper stalk). The spore print is white. The stalk is white to pallid, up to 6″ (15 cm) long or tall, with a large rounded bulb at the base; the bulb includes a white sac-like volva (see the two photos on this webpage). THE BASE OF THE STALK AND THE TELL-TALE VOLVA ARE OFTEN BURIED IN THE SOIL.